When Petco Animal Supplies agreed to be acquired by CVC Capital Partners and the Canada Pension Plan Investment Board for $4.6 billion, the Dow Jones Industrial Average was trading around 17,800. The market had recovered from the August swoon that turned out to be the worst month for the index in five years. Concerns about a slowdown in China, falling oil prices, and possible rate hikes by the Federal Reserve, sent the index into a tailspin. Now, a mere 90 days removed from that correction, the Dow stood within three percent of its 2015 high water mark, and little concern was expressed about mega-deals, such as the Petco transaction, getting to close. Press releases for the deal indicated a closing would happen in 1Q2016. When the deal was announced, it was also disclosed that the transaction would be supported by $3 billion in acquisition financing, underwritten by Barclays, Citigroup, Royal Bank of Canada, Credit Suisse, Nomura, and Macquarie. The broad lender support was a function of the company’s strong credit profile and a favorable following with investors after multiple recapitalizations, which is reflected in its trading profile in the secondary loan market. Further, PetSmart’s acquisition debt had been trading a favorable rates in the secondary market, boosting interest. However, the deal was subject to syndication that would happen in 1Q2016. While there has been no indication with any issues in closing the deal, there is cause for concern. When the debt package was originally negotiated, the credits market were choppy, now they are downright turbulent with bankruptcies accelerating and junk bond issuances declining by over 70% year-over-year. While these bankruptcies are primarily related to the energy markets and energy dependent segments, they have put a malaise into the large cap buyout credit market as a whole. Notably, in January, Citigroup tweaked the terms of Petco’s loan package to make it more attractive to potential syndication partners. I proffer an example of the credit market’s uneasiness in the case of Mills Fleet Farm Group. In 2015, KKR agreed to buy the family owned retailer of rural consumer goods, including pet products, for $1.2 billion. Mills Fleet operates 35 stores in Minnesota, Wisconsin, Iowa and North Dakota. The deal was set to close in late 2015, before it ran into trouble with its debt package. No sell-side capital markets deck was willing to take the paper, and KKR was forced to sell finance a large portion of the debt package against a backdrop of large retailer earnings misses, which drove up pricing. The sale of Mills Fleet closed on Leap Day 2016, fitting. While we may not be able to draw a direct correlation between Mills Fleet and Petco, the deals fall into the same buyout class. Further, if you look outside of these transactions not many large cap LBOs are closing. Most of the recent multi-billion deals have involved strategic acquirors. 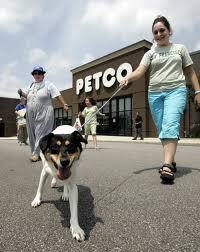 Ultimately, we expect the Petco transaction to close, but there may be more bumps in the road along the way. On December 14th, PetSmart agreed to be taken private in an $8.77 billion transaction led by BC Partners, a European based private equity fund with a history of consumer and retail investments, largely outside of the US. The deal, the largest private-equity buyout of 2104, values PetSmart at 9.1x the company’s adjusted trailing twelve month earnings before interest taxes and depreciation. PetSmart’s equity holders will receive $83.00/share in consideration if a superior bid does not emerge and the transaction is approved. The deal described above reflects a 39% premium to the prevailing per share equity price just prior to the disclosure of Jana Partners, an activist investor, equity position in the company in July 2014. BC Partners and its co-investors — Caisse de depot et placement du Quebec, Longview Asset Management and StepStone Group, LP — outbid Apollo Global Management and KKR & Co., among others, for the asset. The buying group is financing an estimated 6.5x EBITDA to fund the transaction. Citigroup, Nomura, Jefferies, Barclays and Deutsche Bank have committed to provide $6.95 billion of debt to pay for the deal. The financing package consists of $6.2 billion in fixed debt, expected to be split between roughly over $4 billion of term loans and $2 billion of bond, and a $750 million asset-based revolver to support daily operations. I am an on record as predicting that a transaction involving PetSmart was unlikely. My view was that the necessary equity premium to justify a transaction PetSmart would have been exceedingly hard to generate for a private equity fund and that the strategic buyer landscape was small. I correctly surmised a combination between PetSmart and Petco would have too many impediments (though Petco was not given a real opportunity to buy the company but may proffer a superior bid if so chooses), including regulatory concerns. However, I underestimated how much debt financing would be available for a private equity buyer to support the purchase price. In my defense the debt markets were roiled by macro fears at the time of prediction. Financial Engineering at Work. I view this transaction as a triumph of financial engineering. A combination of excess liquidity in both the public and private debt markets as well pent up demand for large cash flow generating assets by private equity made this transaction viable. The buyers must believe there are additional cost rationalization opportunities beyond the $200 million Profit Improvement Program management announced on the November earnings call. More than one bidder who dropped out of the process proffered their view that additional opportunities appeared evident to support the required debt load. I am not expecting much change to the strategy and operating framework David Lenhardt laid out on the May 21, 2014 earnings call. While being outside of the public reporting sphere, save for any public debt requirements, will allow PetSmart to pursue some strategies that sacrifice near term profits for long term growth, the anticipated transaction debt load will limit flexibility in this regard. Moving PetSmart forward will be more about better execution of tactical store level decisions and incremental strategies, than “big bang” opportunities. Lost Transparency. As we have detailed here previously, the pet industry lacks performance transparency. The vast majority of manufacturers and retailers are private companies or divisions of public enterprise with limited disclosure requirements. As a result, the industry is starved for timely fact based performance data. A publicly traded PetSmart provides the general public insight into the direction of the industry. That information is both free and timely. The company’s quarterly conference calls provide a wealth of information on category level performance and pet consumer trends. Once private, this transparency will dissipate. We think that is a real loss for the industry. Not the Last Transformational Deal. The take private of PetSmart is not the first transformational deal of this cycle and it won’t be the last. The number of large private pet companies across industry categories has swelled over the past five years. Whether it is an acquisition of Blue Buffalo, a public listing for Big Heart Brands, or a sale of Hartz Mountain, we expect that more big deals are on the horizon. In mid-August, bowing to pressure from activist investors, PetSmart announced that it would explore strategic alternatives, including a sale of the business. Slowing sales growth and poor comps (same-store-sales, traffic, and average ticket) were cited by outside investors as a sign that management was not up to the challenge of turning around the leading independent pet retailer and creating shareholder value. Additionally, Jana Partners, the antagonist in this saga, postulated that PetSmart would have many transaction opportunities given the liquidity in the private equity and associated debt markets as well as the potential for a highly synergistic combination with competition Petco Animal Supplies. Business Fundamentals. Notwithstanding PetSmart’s leadership position, its business is struggling as core industry drivers shift. The premiumization food movement has largely run its course in the dog category. Adding head winds is the fact that the pet population is not growing at a sufficient rate to bring new owners into the market who would be target customers for PetSmart’s and therefore present opportunities to sell them premium products that drive margin. PetSmart’s latest food strategy — expanding its share of shelf dedicated to mass brands to siphon off customers who can then be converted to premium and super premium — will take time to play out. Further, the company also faces market share erosion from independent pet specialty, online, and an increasingly organized conventional and natural grocery landscape. In order to incent shareholders into a take private or strategic sale, they will have to be offered a meaningful premium. That a tall order given the current state of the business. Private Equity Scenario Possible, but Unlikely. The concept of a leveraged buyout for PetSmart is intriguing to pundits evaluating PetSmart’s options, but the path to realizing this outcome is challenged. In round numbers the current equity price for PetSmart is ~ $71/share. Assuming it would take a 20% premium to entice shareholders to even consider a deal, this would value the equity of PetSmart at approximately $8.5 billion and the company at $8.8 billion on an enterprise value basis. Assuming the largest equity check a sponsor would write in a mega-buyout would be 20%, this implies a take private would require just over $7.0 billion in debt and at least $1.5 billion in equity. Based on current EBITDA figures, this would mean that PetSmart would be valued at 7.5x Debt / EBITDA, before considering the lease capitalization. This seems significantly elevated in light of the uncertainty around growth and margin expansion. A buyout at these levels would limit the company’s ability to make investments at a time where they are needed. If Jana were to roll its equity the scenario becomes more palatable, but it does not solve the problem in its entirety. Calls for looking at the equity premium based on the pre-Jana price will fall on deaf ears. Additionally, at these valuation levels a sponsor would likely be generating IRRs in the 15% – 20% range before accounting for execution and market risk. I don’t see that return profile as being all that attractive given the risk. Third, while I could identify approximate 10 – 15 logical investors who invest in retail and could write, individually or in a two firm combination, a $1.5 billion equity check, nearly half of them are conflicted due to their investments in other pet specialty retailers or product providers. Finally, see business fundamentals above. A Strategic Deal Does Not Involve a Combination with Petco. After a private equity deal, the other most commonly cited outcome for PetSmart is a combination with Petco. While that is conceptually attractive, its theoretically impractical if not impossible. A PetSmart / Petco combination would have ample synergies but it would significantly expand the physical footprint of the combined company, something that has been proven to be a bad strategy in this current retail environment. Second, Petco is facing the same business conditions that are negatively impacting PetSmart, meaning there is not a high likelihood that it is a sensible time for it to pursue a major deal. That notwithstanding, a combination would likely extend the current PE syndicates ownership of Petco, which already stands at nine years versus a typical five year hold period. Next is the conundrum of who would manage the business going forward. Given that PetSmart is nearly twice the size of Petco, I don’t see current management going quietly into the night or sticking around in secondary roles. Finally, we would bank on significant anti-trust hurdles. While in combination the business would have 27% of total pet product market share, the industry is defined by channel tied products. Under a more narrow definition, the business would control 64% of pet specialty product sales with nearly 50% of their merchandising mix exclusive to one of the two banners. I see that as problematic. There Really is Only One Logical Buyer. The only logical strategic buyer in my view is Tractor Supply. Tractor Supply has an $8.2 billion market cap and is unlevered. The company has experienced a 550% increase in its equity valuation over the past five years. 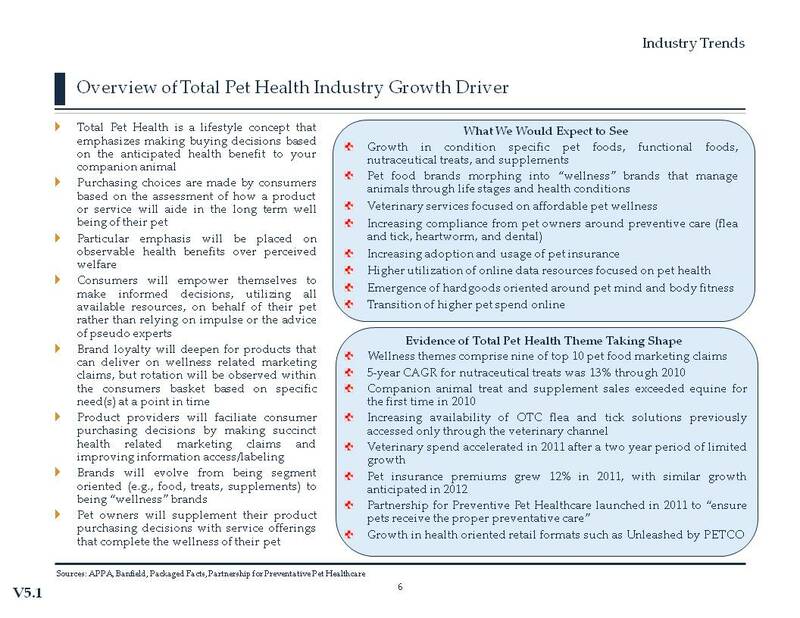 A key driver of this has been growth in their companion pet revenue. A combination would help Tractor lessen its exposure to the farm segment of its business that has been challenged. Further, there is significantly less physical overlap between PetSmart and Tractor Supply, than there would be in a Petco combination scenario. Further, there would be significant supply chain synergies. That all being said, this would be a big swing for a company that does not have a meaningful acquisition history. While sensible, I ascribe a low probability. Net net, we believe the opportunity for a sale of PetSmart’s business to have passed. A deal remains possible, but we discount that prospect. 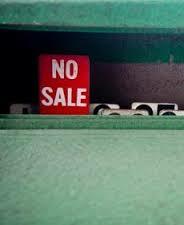 For shareholders sake it would be best if an outcome, sale or no sale, happens quickly so that management can return to running the business assuming it remains independent. Disclosure: I have a contractual relationship with PetSmart as it relates to their acquisition of Pet360. 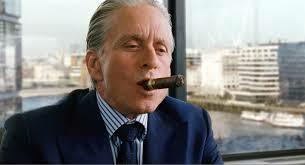 I do not have any position in the stock of the Company, nor any intention of establishing a position. One of the most frustrating aspects of following the pet industry is the lack of transparency we have into the operational results of bellwether companies that comprise the market. With only a handful of pure-play public companies, and even fewer with meaningful analyst coverage, we are left to rely on publicly available market studies, which are often dated and/or at a cursory level, expensive third party research, or, more often than not, rumors and conjecture. As evidence, approximately 25% of search terms that led people to this blog are related to market rumors (e.g. “Blue Buffalo acquired”) or data searches on private pet company performance (e.g. “Petco 2012 EBITDA”). However, the availability of cheap leverage to fund organic and acquired growth is providing us a rare opportunity to understand how some of these large private pet names are performing. In October 2012, Moody’s Investor Services assigned a B3 rating (speculative) to a $250 million private bond issuance from Radio Systems Corporation, the privately held market leader in pet containment products and training systems. The proceeds from the issuance went to replace existing balance sheet debt and purchase a putable equity stake valued at roughly $90 million. According to Moody’s, the transaction would leave Radio Systems with a debt-to-EBITDA ratio of 4.7x. The report also states that the company generated sales of $270 million for the twelve month period ended June 30, 2012. So what can we glean from this disclosure? Based on the company’s debt-to-EBITDA of 4.7x, this would imply Radio Systems had somewhere in the neighborhood of $50 million – $55 million in trailing EBITDA as of June 30, 2012. Based on $270 million in sales for the coinciding period, this would imply an EBITDA margin of 18.5% – 20.0%, a good metric for a company of this size in this segment of the industry but certainly with room for expansion. If we valued Radio Systems at an EBITDA multiple similar to the Sergeant’s Pet Care Products / Perrigo transaction or based on the public trading multiples of Garmin or Spectrum Brands, this would produce an implied enterprise value for Radio Systems of $500 – $550 million. Finally, it appears safe to assume that TSG Consumer Partners, whose equity put is being acquired, will make a 3.0x return on its investment of $30 million made in 2006. This returns Randy Boyd to full ownership of the company. Moody’s rating of Blue Buffalo’s $470 million financing (rating B1) also provides us some salient insight into the company and its capital structure. According to Moody’s, the proceeds of the transaction will go to fund a special dividend for the owners, including equity partner Invus Group. While Moody’s did not peg a debt-to-EBITDA multiple for Blue Buffalo at the time of the transaction, it does state that “Moody’s expects that the company will be able to generate sufficient free cash flow to de-leverage rapidly, such that debt-to-EBITDA will be below five times in the next 12 months.” The report also states that the company generated sales of $400 million for the twelve month period ended March 31, 2012. So what can we glean from this disclosure? If we assume the debt financing reflects the total leverage of Blue Buffalo, it is safe to assume that the company generated somewhere in the neighborhood of $80 – $90 million of EBITDA for the twelve month period ended March 31, 2012. Based on $400 million in sales of the coinciding period, this would imply an EBITDA margin of 20.0% – 22.5%, a very good metric for a company of this size in this segment of the industry, especially one who is funding a national television advertising campaign. Setting aside whether they were true or not, the rumors that were swirling around earlier this year that Blue Buffalo was entertaining sale dialogs with a starting price of $800 million, denotes an implied revenue multiple of 2.0x and an implied EBITDA multiple of +/- 10.0x, which do not appear out of line, maybe even light on the profitability side of the equation. This confirms, what many people speculated, that Bill Bishop had sold a meaningful portion of the firm to a third party equity firm sometime within the last three years. Invus, which has an evergreen fund structure, and therefore can hold positions for long periods, is a sensible partner. Invus is also well credentialed in food, with historical investments in Keebler, Harry’s and Weight Watchers. Finally, Petco Animal Supplies is again tapping the debt markets for $550 million in senior notes. You might recall the company refinanced its balance sheet to the tune of $1.7 billion back in 2010, in part to finance a $700 million dividend to its owners, enabling them to repatriate 90% of their invested capital. This time around, the notes along with balance sheet cash will be used to fund a $603 million distribution to shareholders. I hashed out the Petco situation here before, but the most salient point that can be gleaned from Moody’s disclosure is that the company grew revenue from $3.0 billion to $3.3 billion from 2011 to 2012, a rate consistent with Petsmart for the same period, reflecting a greater equilibrium in the balance of power. Net net, while much of the above might have been pieced together by an informed observer these conclusions were often difficult to corroborate because we lacked factual information. One benefit of low interest rates, is we have gained some transparency in the process and therefore can substantiate some of the speculation rampant in the industry. The pet industry produced another solid year of growth according to the American Pet Products Association. Total industry revenue increased 5.3%, to $51.0 billion in 2011 driven by growth in all major segments of the industry. Sales benefited from pet population growth, which returned after a two year absence, and price inflation in all categories. Discretionary services produced the strongest growth rate at 7.9%. During the past five years the industry has grown 20%, a remarkable rate under any conditions, but especially in light of the economic contraction experienced in 2009 – 2010. Expansion was fueled by the “Humanization of Pets” movement. The trend toward treating pets as family members shifted spend into higher priced categories such as premium food, driving growth in the absence of population expansion. While this theme remains relevant, its influence has tapered as the product rotation it stimulated nears completion. As evidence, premium food market share is flat over the past two years. In contrast, private label pet food and supermarket channel share, both associated with value, have grown. While a value focus will continue due to the domestic economic climate, it will not drive industry volume but rather shift mix. Instead, I believe an accelerating focus on pet wellness and population growth will fuel the industry in 2012, albeit at lower growth rates than seen in the past few years. While the concept of “wellness” and the pet population is not new per se, I see it coming together in a new and integrated way, which I call “Total Pet Health”. Previously wellness was about giving your pet “better” food, augmenting their nutrition with consumables that provided perceived benefits, and then taking your pet to the veterinarian and listening to their advice about dental health and weight management. Today the concept of wellness is about empowering yourself to make the most informed decisions about your pets long term well being using all available resources, rather than relying on pseudo experts. It is about making product decisions based on actual results, not marketing claims. It is about selecting the best product for the need at the time rather than blindly associating with a brand. Its about having a relationship with your veterinarian around preventative care and using insurance to control total cost of care. To adapt to these changes in owner behavior, I expect to see pet brands morphing from product or service providers into wellness brands. As an example, in July 2011, VCA Antech, the nations leading owner and operator of animal hospitals, acquired Vetstreet (d/b/a Vetinsight.com) a provider of client communications, pet education, and home delivery of pet medications and supplies. Against a backdrop of strained relationships between pet owners and veterinarians driven by veterinary services price inflation, VCA took measurable steps to empower pet owners. Vetstreet’s information solutions enable pet owners to educate themselves about pet health conditions, learn what tangible steps they can take to remedy those conditions at home, and understand what to expect if they do take their companion to the clinic in order to avoid unnecessary service or charges. Through this transaction, VCA transitioned itself from being a perceived source of the problem to being a wellness solutions provider. From a pet industry transaction standpoint, I expect slower growth will result in further consolidation. While the pet industry saw substantive consolidation in 2011, it also saw renewal as growth remained robust. Private placement volume within the industry accelerated in 2H2011. However, in a slower growth environment it will be harder for emerging companies to gain scale. Further, interest from institutional equity sources in highly competitive pet categories will logically recede absent lower valuations. If capital is lacking innovation will also be limited. To the positive, truly innovative companies should enjoy premium valuations – see United Pet Group’s acquisition of FURminator as a prime example of this reality. These conditions point to transaction volume being oriented around consolidating segments – distribution, hardgoods, retail, and veterinary services – in the near term. Despite a fundamental bias towards consolidation, I expect pet industry transaction volume to be modest in 2012 absent a major transaction on the consumables side. When Procter & Gamble acquired Natura Pet Products in 2010 it sent shock waves through the industry, especially in light of the fact that P&G was rumored to be exiting of the pet sector. While the industry has seen active M&A and capital markets since that time, it appears wanton for another marquee transaction to provide it stimulus and buzz. The recent United Pet Group/FURminator transaction caught the attention of the product side of the industry, but consumables have been lacking a bellwether since Nestle Purina acquired Waggin’ Train in 2010. Given the prospects for an industry growth taper, as well as downstream tax motivations, it seems plausible Blue Buffalo Company or Natural Balance Pet Foods, the two largest independent pet food companies, could trade in 2012. If they do, expect a flurry of activity in their wake. As always, my full report is available by request. 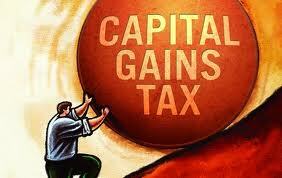 Will Pending Capital Gains Changes Drive Unprecedented Deal Volume in 2012? They say there are two certainties in life, death and taxes. That’s not entirely accurate since death comes at the end of life, but that is probably just quibbling. Taxes are a certainty however, whether of not you choose to pay them. If the 2012 presidential campaign has illuminated anything definitive to date, it is that not all income streams are equal from a tax standpoint; those who make the majority of their income through buying and selling investments (the Mitt Romney’s and Warren Buffet’s of the world) have much lower effective tax rates because their income is treated as capital gains instead of ordinary income — 15% versus 35% at the highest level. Some form of equity is looming on the horizon. In 1993, the Clinton Administration sought to tackle a $300 billion federal deficit through government spending cuts and increasing personal income taxes on top earners. This resulted in a budget surplus in 1998, which grew to $230 billion by 2000. The surplus was a central discussion point in the 2000 presidential campaign. George W. Bush suggested America was “owed a refund” and campaigned under a promise to lower taxes on the wealthy if elected. The net result was the 2001 Economic Growth and Tax Relief Reconciliation Act and 2003 Growth Tax Relied Reconciliation Act, collectively referred to as the “Bush Tax Cuts”. The Bush Tax Cuts lowered ordinary income tax rates 3%-5%, phased out the estate tax, reduced the marriage penalty, lowered rates on income from dividends and capital gains, and increased exemptions. Critics argue over the long term impact of these changes, but two things are hard to dispute: a) the Bush Tax Cuts resulted in U.S. government losing billions of dollars of revenue over a 10 year period and b) keeping the cuts in place have become a central political platform for the Republican party. While I am no political handicapper, the combination of a swelling U.S. deficit (and therefore the need for more revenue streams), the growing income gap between the wealthy and the middle class (as evidenced by the “Occupy” movement), and the clear improbability of the GOP winning both the White House and the Senate, mean the Bush Tax cuts are all but dead on the stroke of midnight December 31, 2012. The question many are asking is whether these changes may light a fire under M&A for family owned businesses in 2012. After all, if you own a business worth $100 million and you sell in 2012 versus 2013 you save yourself at least 8.8%, but possibly much more if the”Buffet Rule” is enacted into law, which would put a minimum tax rate of 30% on all income streams if you make over $1 million annually. History would tell us that taxes alone are not sufficient enough to push people towards transactions they would otherwise defer. However, history has not seen this level of increase in the capital gains rate since the 1967 – 1972 period when rates increased 11.5%, but over a period of five years. Here we are talking about 8.8% over night. Further, the market has never enjoyed the levels of liquidity currently in the marketplace, from both strategic acquirors and private equity firms. Excess liquidity tends to correlate with rising purchase prices. Throw in a pinch of uncertainty regarding Europe over the next 24 months and you might have a convergence of circumstance strong enough to call some to action. Despite the stars aligning only a subset of the market should be interested in this reality, and that would be companies on the larger end of the spectrum. Yes, as enterprise value increases the impact of the capital gains rate changes increases, but more importantly so do transaction market multiples. According to GF Data Resources, the spread between the multiples garnered by businesses worth greater than $50 million is a fully 2.0x in a leveraged buyout versus those with lower enterprise values. The data shows that the “size premium”, so to speak, increased a full 1.0x in 2011. Absent attractive purchase prices, people tend to sit on the sideline no matter how their tax bill changes from one year to the next. Net net, I think 2012 will be a strong year for M&A because of the total market dynamics, but I don’t think taxes alone are going to stimulate a plethora of activity that would not otherwise be there on other merits. In order to experience some modicum of success as a writer, you need to provide compelling content that people want to read. In our media blitzed society this generally requires one to take a provocative position on some issue. While I certainly try to challenge my readers to think more broadly on a range of topics related the pet industry, there are only a few storylines where my rabble-rousing has enjoyed a high level of consistency; the topic of Petco is one of them. Again, let me state I have nothing against the company per se. In fact, Petco, and its better looking twin sister Petsmart, provide a necessary and valuable service to both companion animal owners and the industry at large. That said, they suffer from a fundamental structural challenge, namely their access to cheap high quality labor is limited, which undermines their ability to effectively service customers on a consistent basis. The other area where I say the “dog has fleas” with respect to Petco is when comparing it to Petsmart. I wrote about it here. The basic premise was while the industry had grown nicely since Petco was taken private for a second time, the financial disclosures related to its recent debt refinancing implied that Petsmart had put Petco in its rear view mirror. I then left it at that. Unbeknownst to me, San Diego Reader columnist Don Bauder decided to pick up my ball and walk it over to Petco headquarters (also located in San Diego). He put my musings to Petco Chief Financial Officer Mike Foss here, in an article questioning the benefits of buyouts. Notably, in Bauder’s article, Foss asserted that “By virtually every single metric — sales, profit, cash — we’re better off than in 2006.” Given the size of the debt refinancing it is easy to see how profits and cash are up, because interest costs are down and debt is up, albeit not enough to offset the decrease in the effective interest rate as, according to Foss, Petco’s refinancing is saving it $18 million in annual interest expense. It’s not hard to believe that sales are up either given that the market has grown consistently over the past five years and the pet majors have maintained the lions share of the retail industry’s sales. What is more notable to me, however, is that Foss said nothing about operating cash flow or same-store-sales, the two most important metrics to measure the health of a retail property. Net net, while Foss may dispute my assertion, he certainly did little to refute it. Further, if my analysis was really that wide of the mark, he wouldn’t even have taken the time to put his spin on the situation.